Four children have died from the flu in Utah since October — nearly double the average annual number of pediatric flu deaths for the past decade, health officials confirmed Wednesday. And with a new strain of the illness, the threat may not subside for weeks. In the past decade, the state has averaged a little more than two pediatric flu deaths per year, with a high of five deaths in 2012-2013, said Keegan McCaffrey, an influenza epidemiologist with the health department. The severity of this flu season, which runs from October to May, is “high,” according to state health officials, with a prolonged spike in reported “influenzalike illness” cases extending later into spring than in any of the past five years. 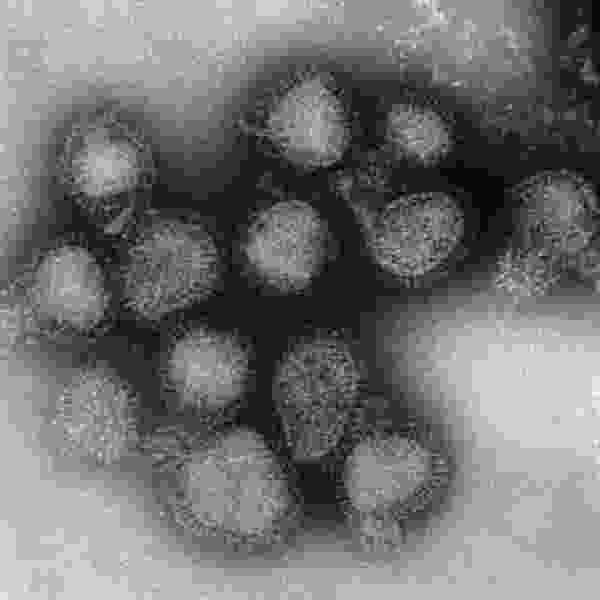 “Normally in the spring, we see a second wave — of Influenza B. But this year we’re seeing a second wave of Influenza A H3, ... which is associated with more illness in the elderly and people with other conditions,” McCaffrey said. Researchers and pharmaceutical manufacturers try to anticipate the flu strains that are likely in a given year, and design the annual vaccines accordingly. The flu vaccines widely distributed in the fall were “a good match” with the first wave of illness, but have been less effective for the second, said Jenny Johnson, spokeswoman for the Utah Department of Health. Nonetheless, the initial strain could still be in the community, Johnson said, and flu symptoms are generally less severe with a shot, even if the vaccine does not closely match the strain. Health officials would not confirm which strains caused the four pediatric deaths, or when or where they occurred. The state does not track adult flu deaths, but it does record hospitalizations and flulike illnesses reported by doctors and hospitals. Although hospitalizations have been down in recent weeks, northeast Utah has had the highest numbers reported so far, with about 50 patients hospitalized this season in Daggett, Duchesne and Uintah counties. Patients and parents with ailing children should be cautious, especially if there are signs of pneumonia, the most common life-threatening complication of the flu, Jones said. “When people die of the flu, most often — historically and textbook-wise — they die of pneumonia,” Jones said. An app says Utah is the ‘sickest state;’ officials say it’s a mild flu season so far. Will tech change how infectious diseases are tracked? Less common but also serious complications include severe muscle pain, inflammation of the brain or heart, and ear infections, Jones said. Parents and patients should “play it safe” and call a doctor if they believe the flu is behind the symptoms. “If they are sick, call the doctor because their doctor can prescribe antivirals,” agreed McCaffrey. “And if you’re sick, stay home at least 24 hours” after symptoms improve. Health officials also advised Utahns to brace for “elevated influenza activity for the upcoming weeks" by washing hands frequently and covering coughs and sneezes — and, again, getting a flu shot.